So excited to share with you my Approved Food haul. I took delivery of a massive box of goodies this afternoon and just look at what i got for just £33.45 The recommended retail price was over £80 so I saved £27.46 on this little lot which will last me ages. I have been spending a fortune on Iced Lemon Tea in Costa Coffee so it will be good to try these cans which cost just £1.98 for 6. One Iced Lemon Tea in Costa’s is about £3.50 The French’s Classic BBQ Sauce was 33p a bottle, it usually retails for around £2.50 per bottle. 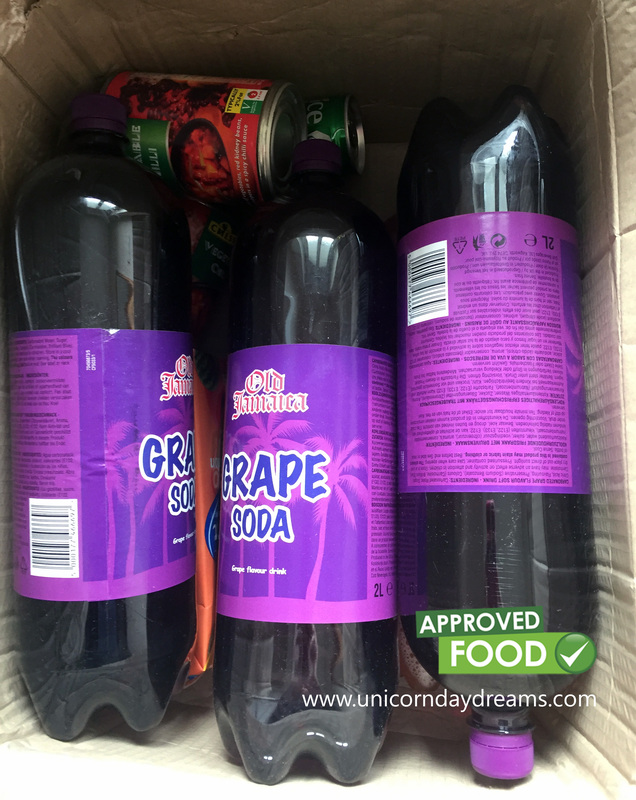 I paid £2.00 for 8 litres of Grape Soda, I love the american grape flavour but it usually comes with a huge price tag in the UK so I snapped up these four bottles. Trouble is it is extremely high sugar content, 12.7g per 100ml which makes it over 1KG of sugar in the four bottles which is a pretty shocking amount. I usually only ever drink diet or sugar free soft drinks so I am thinking of turning this drink into ice lollies to make it last much longer and portion it out better so the sugar hit at any one time is not so excessive. How come Approved Food is so cheap? Approved Food products are so cheap because they are nearing or past their use by dates but tins, crisps, sweets etc are good well past these dates so no worries there. Best before dates are simply the date a brand has calculated their product will be in perfect condition till. So after this date the product may start to slowly deteriorate but there is no health risks. The vast majority of my order has at least a month left on the best before dates anyway. I have tried the salt & vinegar chip sticks and the iced tea and both were lovely so I will definitely be ordering them again. I am slightly addicted to iced lemon tea at the moment and at these prices I can afford to indulge this addiction. Have your purchased from Approved Food before? What was your best bargain?